Washington State has sent a bill which would ban the widely condemned pracice of gay ‘cure’ therapy on minors, to the Governor’s office for final approval. It is still technically legal in the UK. Washington state this week became the latest to pass legislation in both Houses, and it will now go to the Governor’s office for final approval. 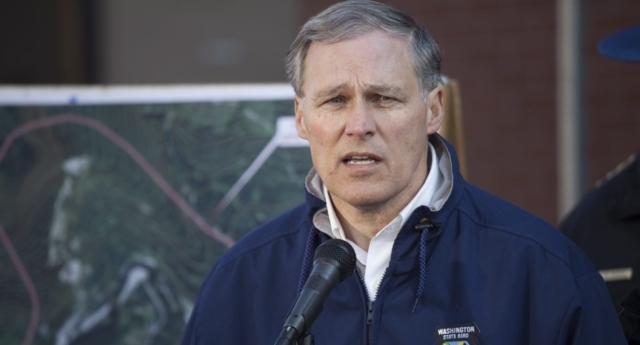 Governor Jay Inslee has been urged to sign SB 5722 into law. If signed into law by Inslee, Washington State will be the tenth state in the US to explicitly ban the practice for minors. The legislation was celebrated by the Human Rights Campaign. “Children across the Evergreen State deserve to live their lives authentically and should never be subjected to the abusive practice of so-called conversion therapy,” said HRC Senior Vice President for Policy and Political Affairs JoDee Winterhof. A bill was introduced in California last month which would see practitioners of debunked gay ‘cure’ therapies prosecuted for consumer fraud. The bill would build on the existing consumer protection law to introduce a possible conviction under state law for gay ‘cure’ practitioners. The UK government recently said it would consider banning gay ‘cure’ therapy. And earlier this week the European Parliament overwhelmingly voted to condemn gay ‘cure’ therapy and urged member countries to ban the harmful practice.